I don’t often plug my own stuff here on the blog, but I thought I would let you know that my latest travel diary Denali Nights was published as an e-book on Amazon and Smashwords last week, and will be available on other online retailers over the coming weeks. It covers the three weeks I spent in Alaska last year climbing North America’s highest mountain, my first experience of sledge hauling, and is written in the usual unpretentious, somewhat frivolous style. You can download it here. It will be available for $0.99 for a limited period. This is the cheapest Amazon lets me sell it for, and as they don’t like you selling it cheaper anywhere else it’s the cheapest I’m able to make it available in the big stores. 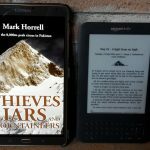 If you enjoy reading the blog, have a dollar to spare and an e-reading device, I would very much appreciate you downloading it. Even if you don’t get around to reading it for a while every download increases the chances of it getting recommended to someone else. And who knows, you might even enjoy it! If you’ve not read any of my travel diaries before they are a little more light-hearted than the blog, and generally quick reads of less than 100 pages that you can get through in an evening. The aim is to bring you along with me on my expedition, whether it’s a climb or a trek, and give you a taste of life on the trail. I try to write them every day while I’m travelling, and do so in various states of exhaustion. Summit days usually have to wait for a day or two afterwards, but I will write them as soon as I can while events are still fresh in the mind. I scribble the diaries into a notepad using old-fashioned pen and ink, and type them up a few months later. They undergo a very light edit. Where possible I type them out word-for-word as scribbled, but sometimes have to rewrite sentences to make them read better (known as a line edit in the publishing trade). Where necessary I will check facts to ensure they are accurate, and if I am citing from books I will look up quotes and ensure they are correct. The really bad jokes are edited out and to avoid upsetting any of my travelling companions I will sometimes tone down the observations I make. They are entirely self-edited and self-published. I don’t think of them as “proper books”, hence the cheap price, but that doesn’t mean they are not worth reading! 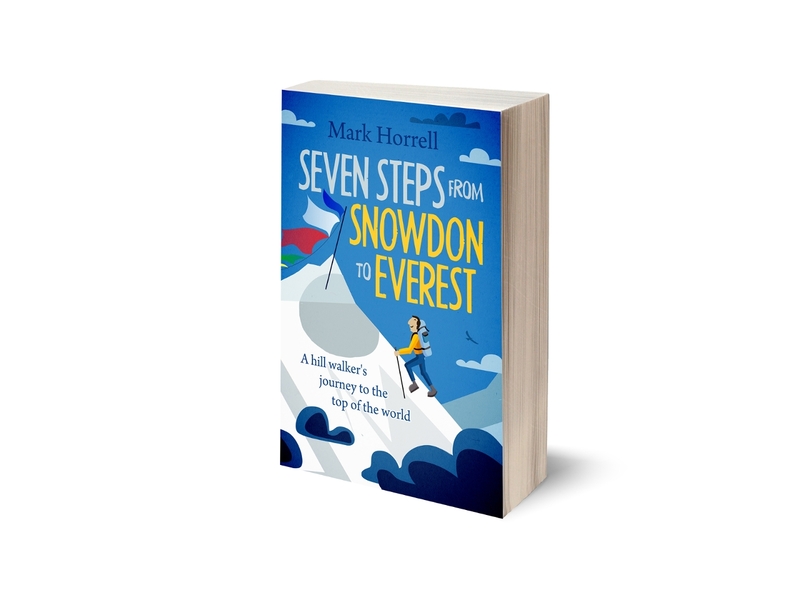 I’m currently working on my first proper book about my ten year journey from humble hill walker to Everest summiteer and will be providing an update about this project here in the blog very soon. I’m making good progress, but it’s taking much longer than I thought it would. It’s taken me two years to complete the first draft, but I finally finished it earlier this month. It’s currently standing at a whopping 180,000 words, and I plan to chop it down considerably before hiring a professional editor to help me knock it into shape. You don’t need to have a Kindle in order to read the book. Various formats are available on the Smashwords site, including PDF. You can download it from here. I have all your books and they have all been brilliant! Interesting,funny and informative. I look forward to reading “The big one” when you get it published. Thanks for the kind words, guys. 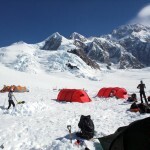 I would love to go back to Denali some day. 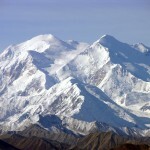 The Alaska Range is like nowhere else. We climbed the standard route on the West Buttress on this occasion, but all of Denali’s early history took place on the north side of the mountain on the less popular Muldrow Glacier route. It would be great to see that side of the mountain as well. Just finished and left a review. Still laughing about the pee bottle and the toilet seat! 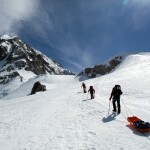 Coming back down was like being there with you,full of detail, a great read! Thanks very much for leaving a review – it’s greatly appreciated! Have left a review on a couple of others today for you. Reading the existing reviews made me laugh. The woman that gave you one star and said she wanted to have poetry in it made me howl with laughter. I was at Danali in July and August–1st trip. Since then I have read you book and enjoyed it.